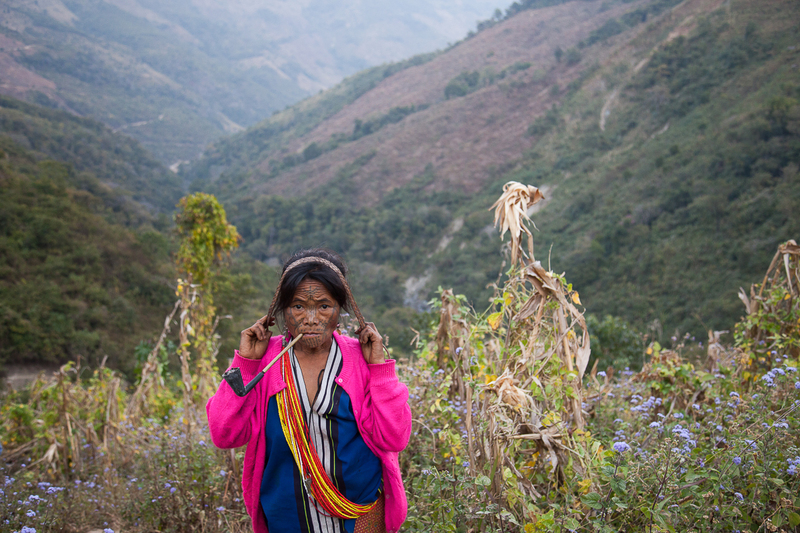 The isolated mountains of Burma’s Chin state are home to a number of hill tribes that have been separated from modern world for centuries. 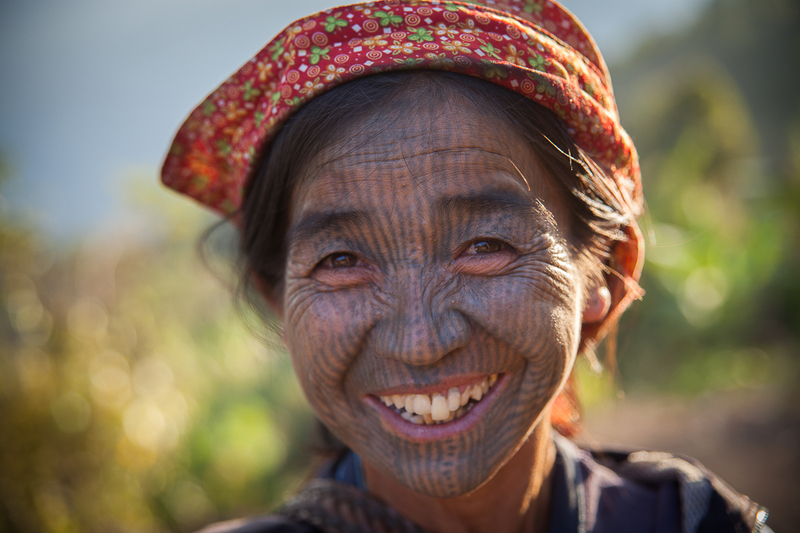 Chin women used to follow the thousand-year-old tradition of tattooing their faces. 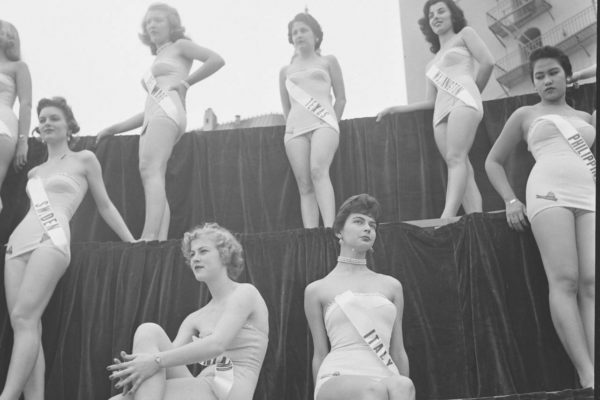 The ritual, officially banned by the government in the 1960s, doesn’t attract modern Chin girls anymore. Soon the thousand-year-old tradition may be gone forever. According to an old legend a Burmese king once traveled to the remote hill regions of Chin state, which was known for its beautiful women. The King then “displaced” a Chin girl, brought her back to his palace and made her his wife. The girl, desperate and unhappy with her situation, finally managed to escape and make her way back home, always afraid that the king could eventually capture her again. In order not to get caught again she disguised herself by making incisions in her beautiful face using a knife. 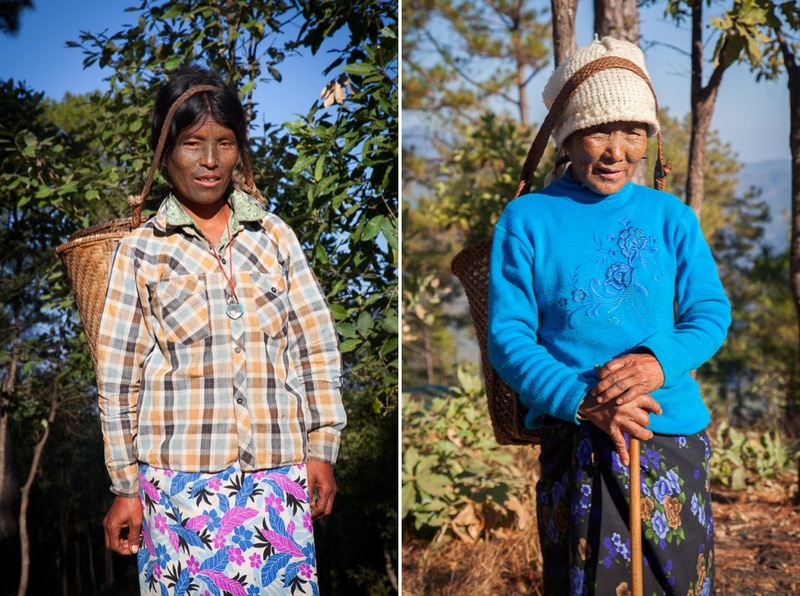 Today the Chin people consist of various sub-groups which are distinguished only by the women’s facial tattoos as well as differences in their language. 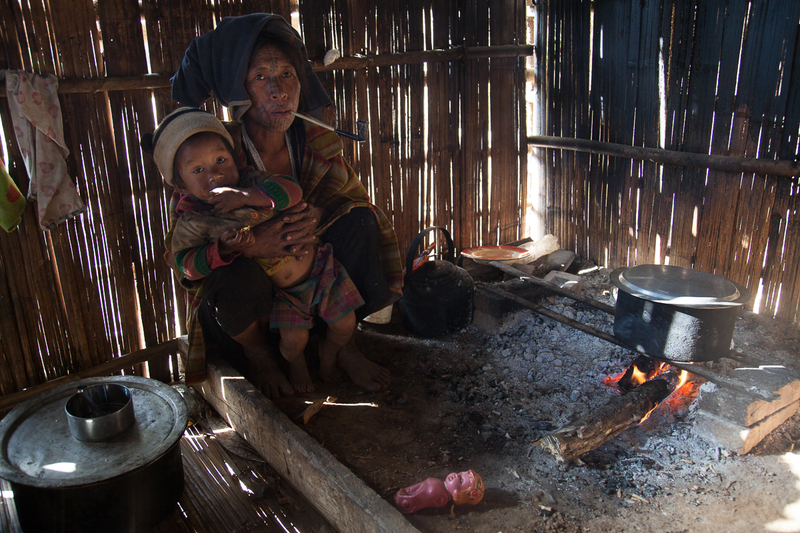 The tribes are mostly situated between the north of Arakan state and the southeastern hills of Chin state. The Burmese government officially banned the tradition in the 1960s after the military took over power in a coup d’état. But the Chin-State has long been neglected by the far-away government or, as others would argue, the Chin state has long tried to avoid contact with outside rulers. In fact the Chin people were in a state of war with the military regime until June 2012 when a formal truce was announced. 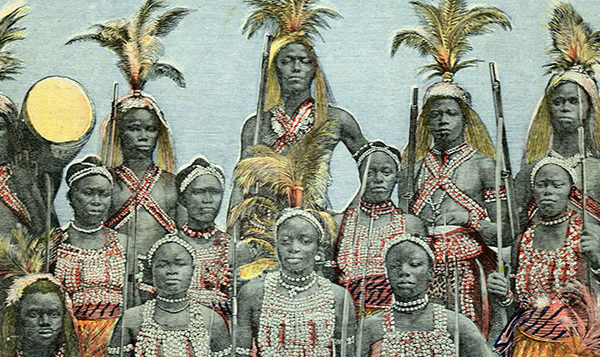 For most of the isolated hill tribes these past events happened without notice. 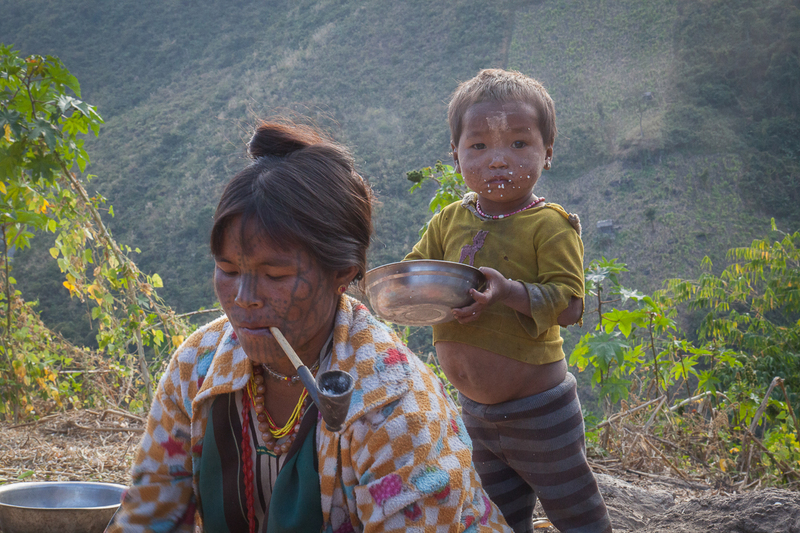 The Chin-State is still one of the country’s poorest and most isolated regions, with a 73% poverty rate according to an official survey. Some areas are widely inaccessible. While this is the reason that local traditions have survived the past centuries, it also means that malnutrition, childhood mortality and the risk for women to die in child birth are extremely high. 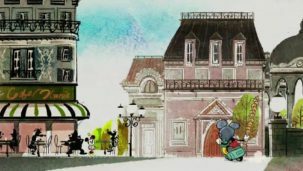 Efforts of NGOs to push for the construction of streets and the implementation of governmental action could bring an improvement to the people’s living and health standard. “People are now hoping that they will profit from the truce and from the booming tourist industry in Myanmar,” says Nay Aung, a 28-year-old guide from Bagan who is regularly organizing trips into the area for NGOs and adventurous tourists. 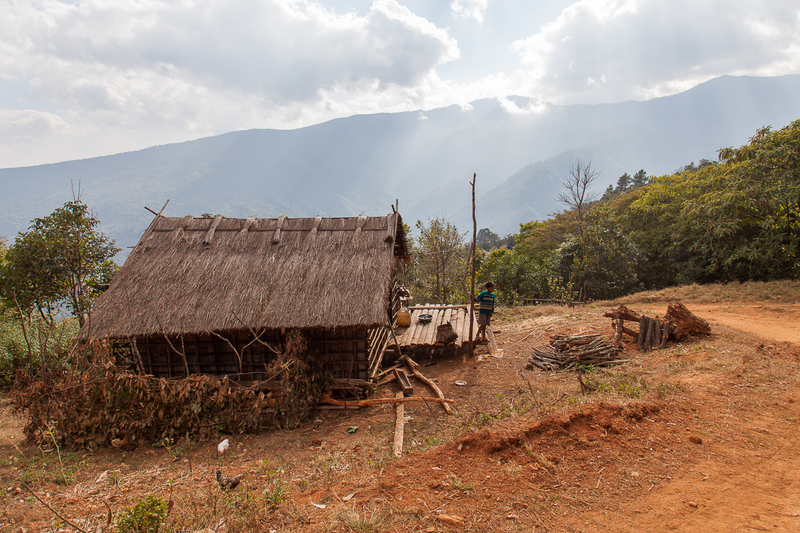 Traveling to hill areas of Chin state is quite challenging and still far off the beaten track. Areas are only accessible by four-wheel-driving jeeps on damaged rough tracks. 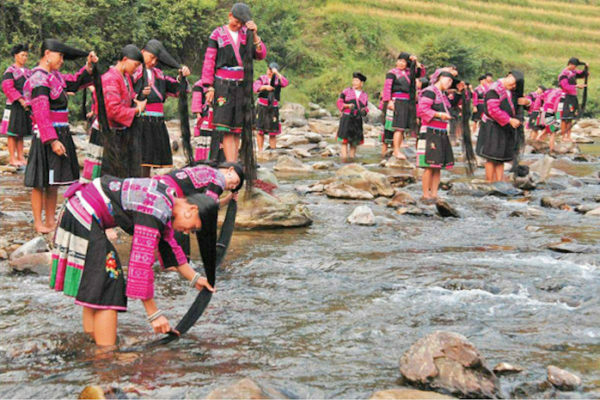 The two-to-three days drive is halted by river crossings, mudflows and flat tires. 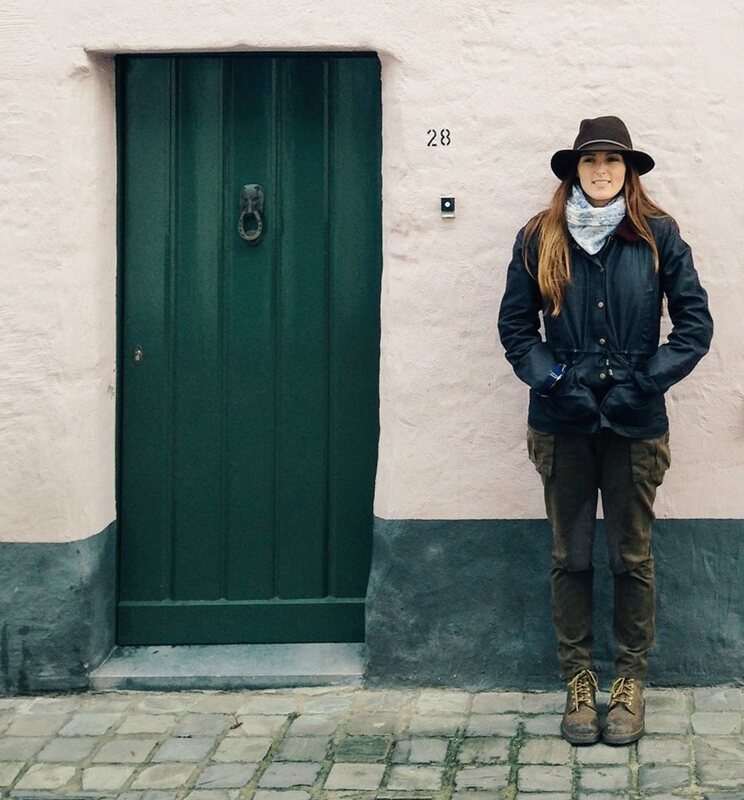 The Chin accepted the harsh and inhospitable conditions of the mountainous regions for centuries by choice, so they could avoid foreign influence and invasion. But times are changing and more and more Chin, especially the young, are willing to open their region for a better health care, maintenance and modernity. 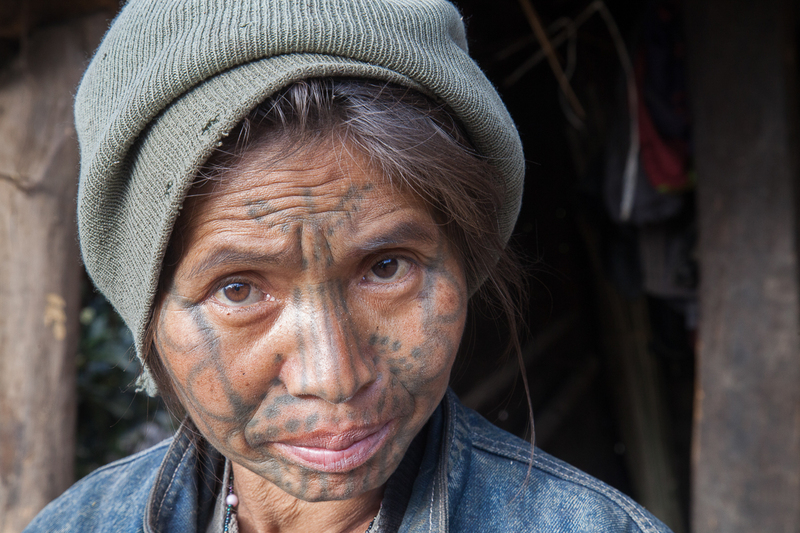 “All the faces with tattoos are those of old women,” says Daw San. Her striking face is graced with distinctive patterns that symbolize a pearl necklace and a dominant ‘Y’ that is illustrating a sacrifice trunk. 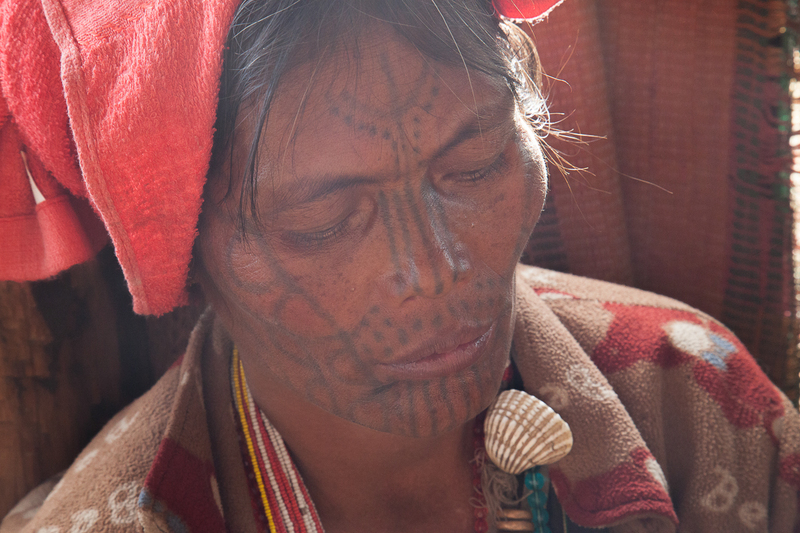 The tattoo shows that she is a member of the Muun tribe. 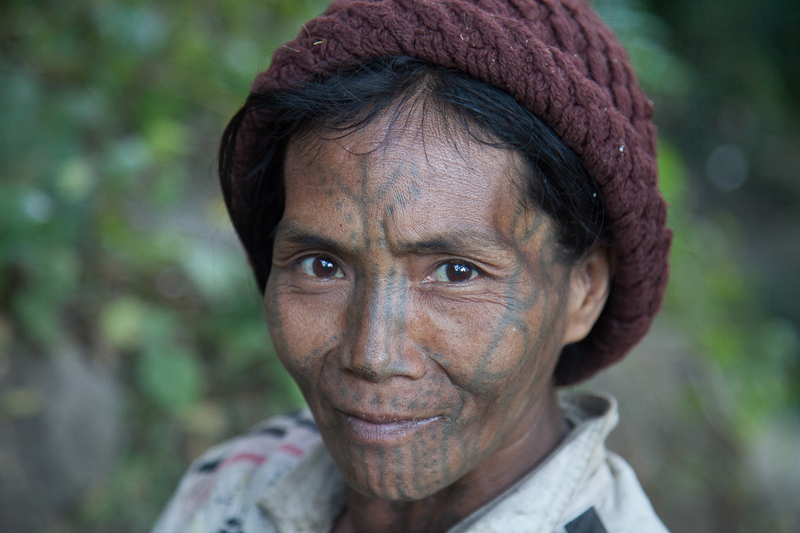 The differences in the patterns of the about twelve facial-tattoo practicing Chin-tribes vary from simple dots practiced by the Daai tribe or straight lines by the Yindu tribe to spiderweb-like tattoos of the Laytoo or even the full-face tattoos of the Ubun tribe where not even a single dot is spared. “Every tattoo has a spiritual meaning and defines the values of the tribe,” says Daw San. The sacrifice trunk in her face reflects the totem of her village. “So we know who we are and we can find our ancestors in the afterlife by identifying the tattoos,” Daw San is convinced. 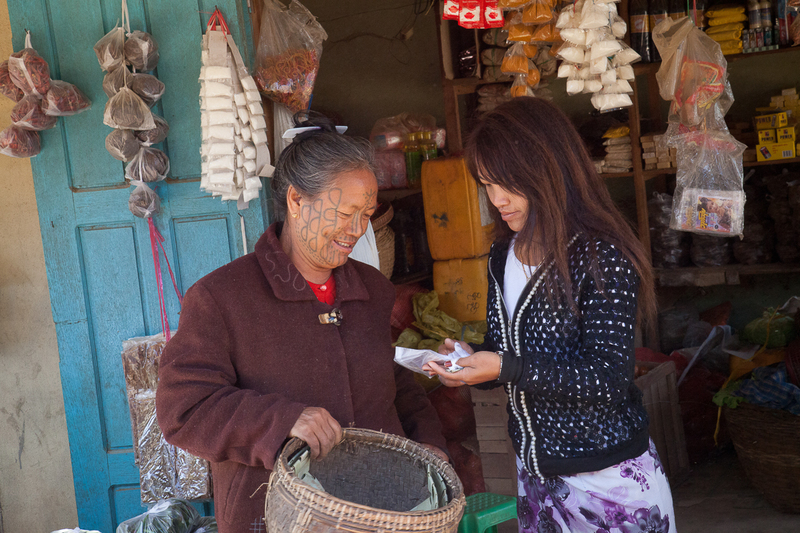 Daw San is aware of ongoing development in the remote corners Chin state where she lives, and this gives her hope that a better life is on the way. She is happy for this, but she also fears the consequences for the Chin’s traditional lifestyle. 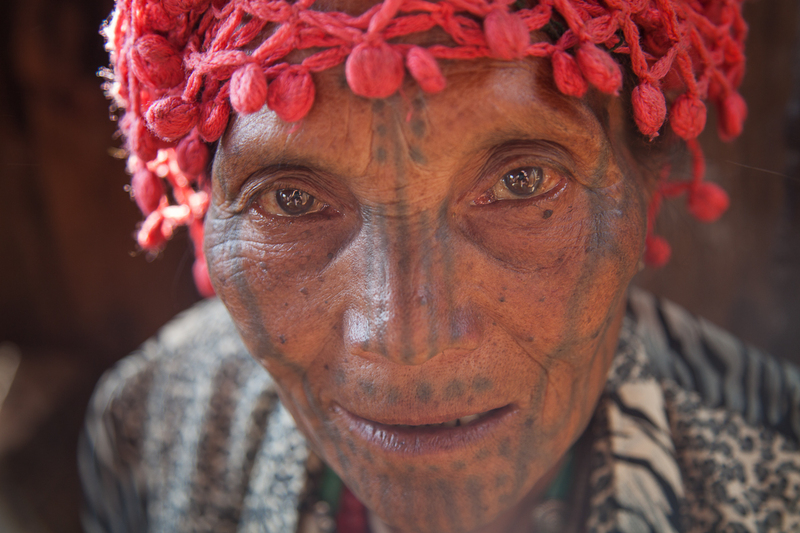 She doesn’t doubt that her face is one of the last with a tribal tattoo. Michael Biach is a travel & documentary photographer reporting on human-interest stories for such publications as National Geographic, Vice and Spiegel Online. Discover his work here.